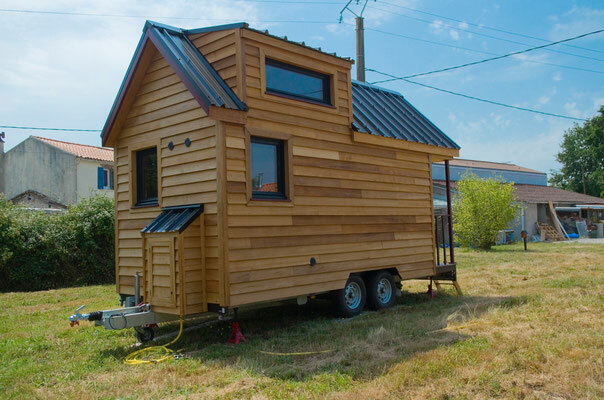 Looks like the tiny house movement is really starting to take off in Europe! 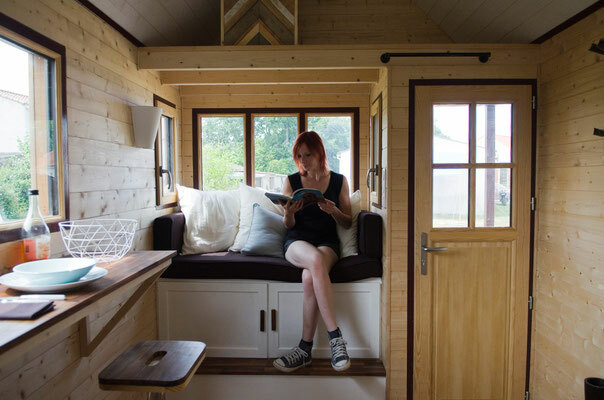 A young woman form Paris, named Laetitia, was tired of spending most of her salary on rent for a small apartment. 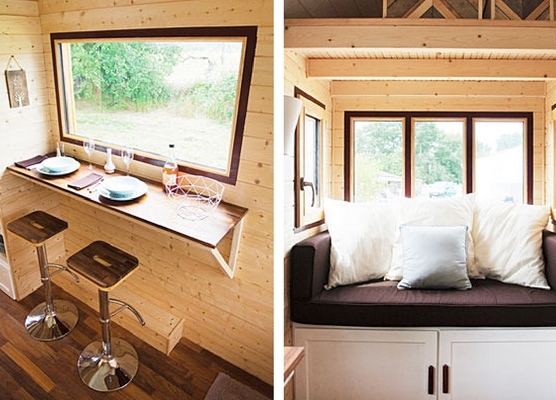 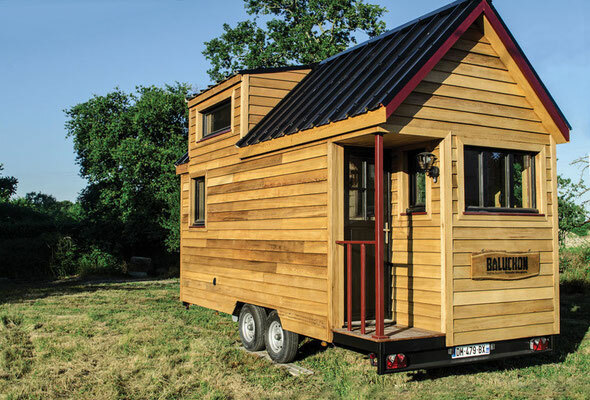 Inspired by the American tiny house movement, she decided to go tiny. 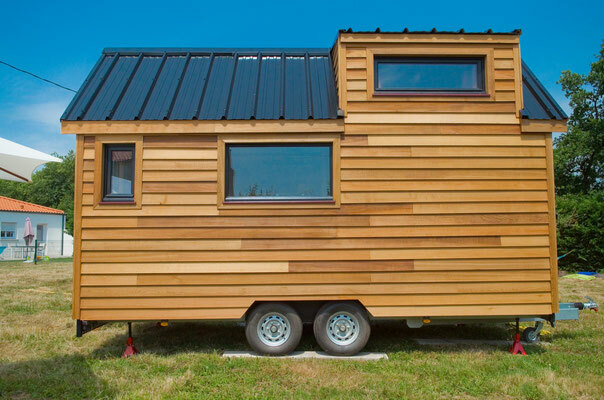 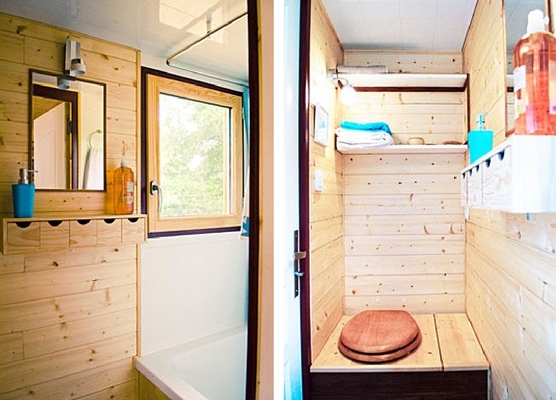 She spent her savings of 16,000 euros (about $17,873 USD) on raw materials and set about to make her own tiny house on wheels. 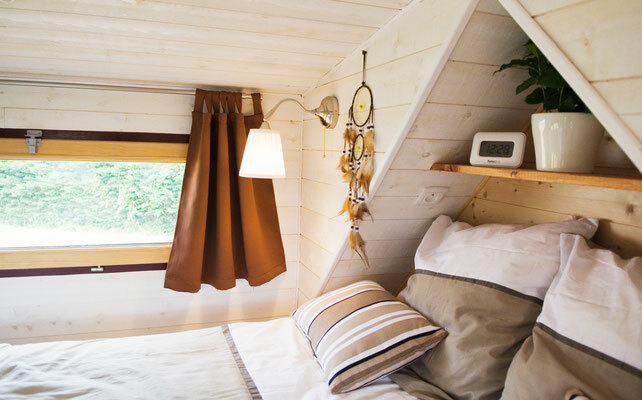 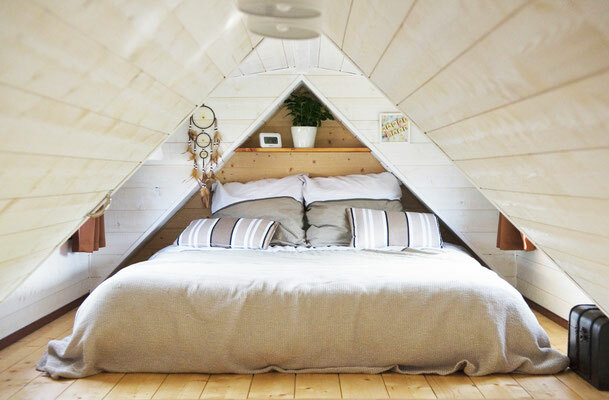 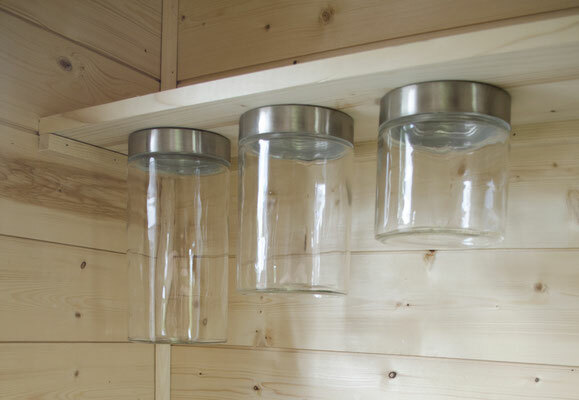 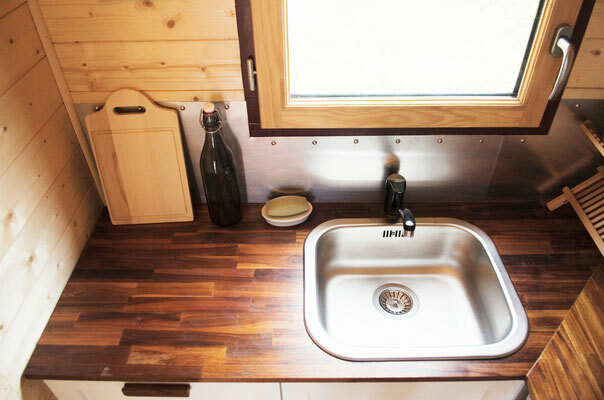 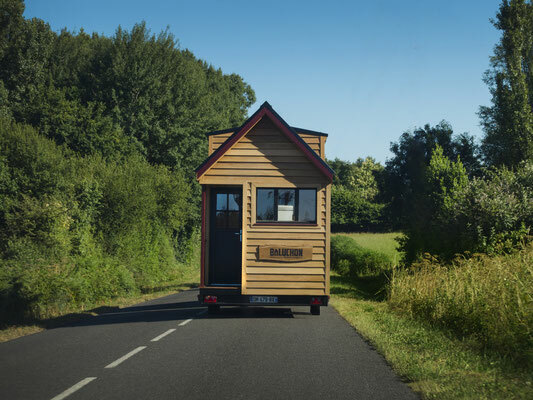 With the help of friends, Laetitia was able to make her tiny house without any professional help, from the carpentry to the plumbing of the home. 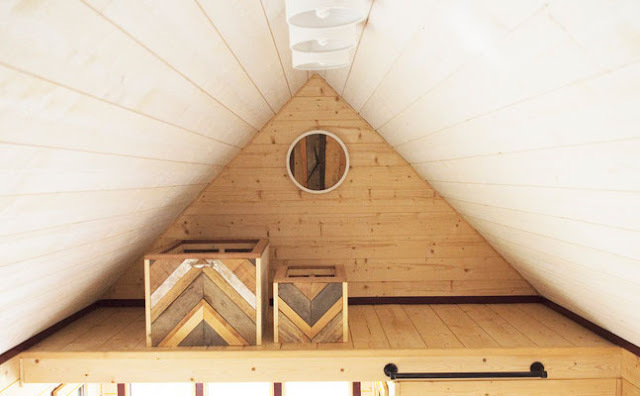 The finished product, which she named “Baluchon” (French for “backpack”) measures 150 sq ft, with an additional 64.5 sq ft of space in the loft. 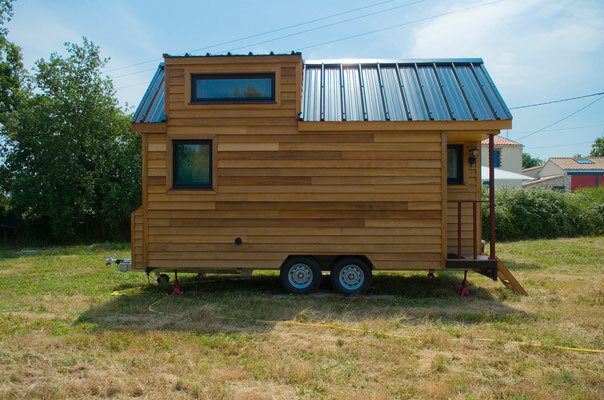 The home has a full kitchen, a living room nook, dining space, a bathroom, a sleeping loft, and a second loft for storage. 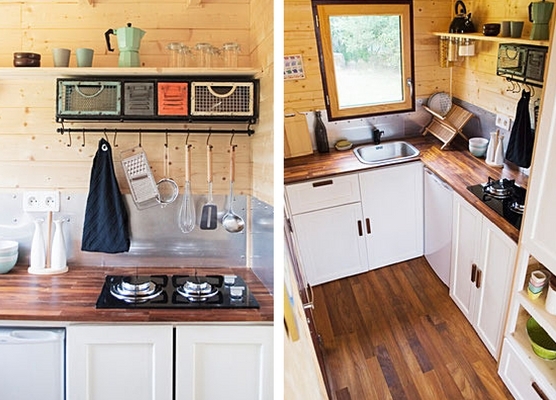 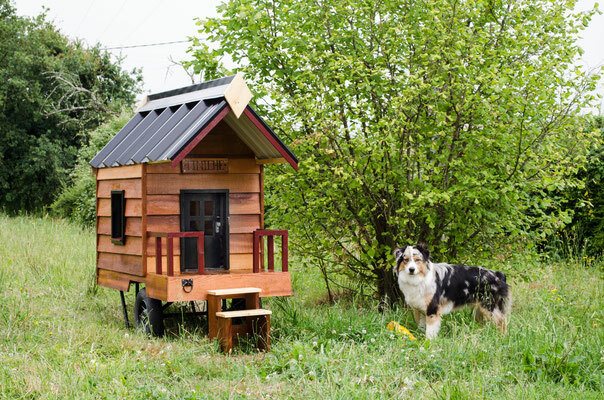 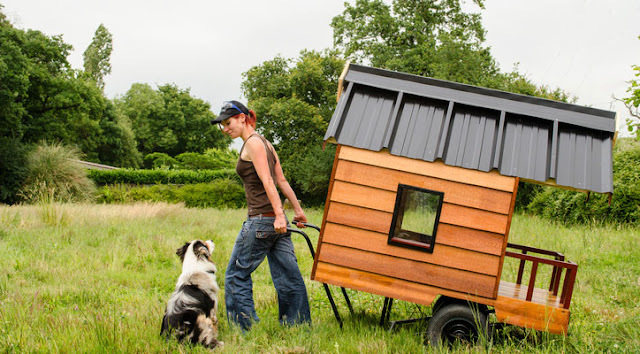 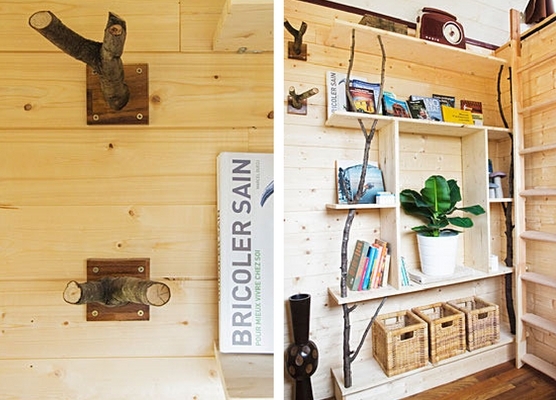 Even better, Laetitia built a matching tiny house for her dog (photos below)! 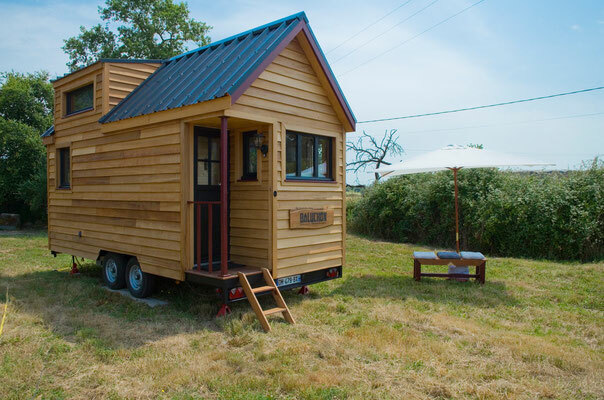 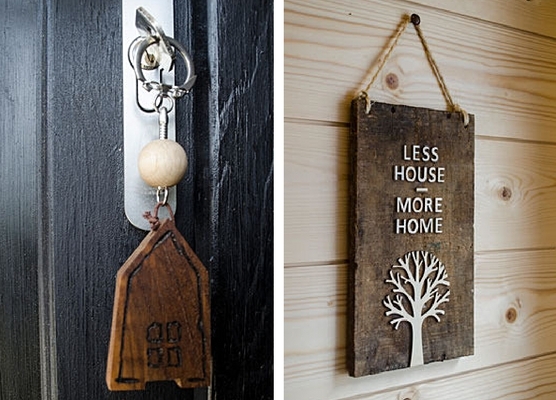 Since building her tiny home, Laetitia launched a website and tiny house company where she shares her passion for tiny house living.